Have you ever felt as if you were not alone, but did not know who or what was with you? Do you feel as if beings or people visit you on a regular basis, yet you don’t know who it is? And if you do know who it is, do you feel like you can’t communicate with them the way you wish? 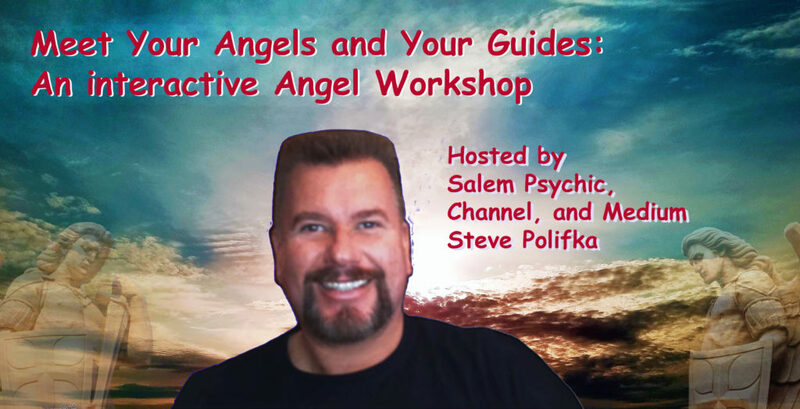 Salem psychic, medium, and channel Steve Polifka, with the help of Gladimir and Zephram, his Guardian Angels, will look at what abilities you may have by viewing your third eye, uncover any blocks, and introduce you to your angels or guides. They will also explore how you can improve your receptiveness and communication with your angels and guides. This is a three-hour class and workshop. Please bring pen and paper comes that you can write down your insights. This will be a fun, interactive, and insightful experience, so bring your sense of humor and be ready to stretch your beliefs and abilities!